CIBC has announced it has plans to launch Apple Watch app support coming soon for its customers. In the iOS app’s latest update description (from April 15), the bank says the future Apple Watch app will allow customers to check balances, review recent transactions, transfer funds and easily locate a branch or ATM from their wrist. While CIBC was one of the first banks to launch mobile cheque deposits, it is not the first financial institution to launch an Apple Watch app. Tangerine Mobile Banking has an Apple Watch app out, and has been featured on the Apple Watch website. Yesterday, it was reported Apple was in talks with Canada’s ‘Big 6’ banks to discuss plans to bring Apple Pay here, for possibly a launch in November. 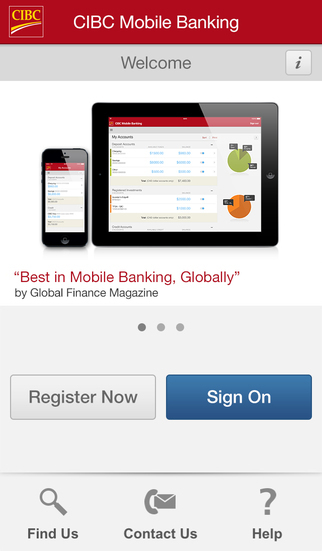 Click here to download CIBC for iOS in the App Store. Anyone excited for this?